Globe Telecom continues its support to the Department of Health (DOH) in promoting mental health awareness in the Philippines. 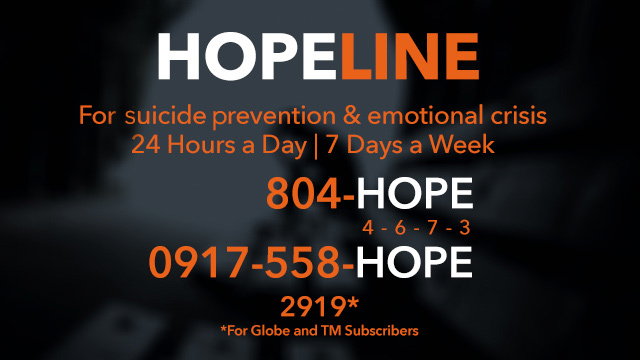 In its pursuit to provide a platform for a 24/7 suicide prevention hotline, toll-free Hopeline 2919 was built with the support of Globe providing the necessary technology for it. Depression continues to be a leading cause of ill health and disability among many countries around the world. Many people think that depression is not an illness but just a negative feeling that one eventually snaps out of but in fact, it is one of the leading causes of suicide. Based on data from the DOH and the World Health Organization (WHO), more than 300 million people are currently undergoing depression, up by more than 18 percent from 2005 to 2015. In the Philippines, an estimated 3.3 million Filipinos are suffering from depression. Only 1 out of 3 who suffer from depression will seek the help of a specialist and one third will not even be aware of their condition. With the creation of Hopeline in 2012, over 14,000 calls have been received and most of the calls were related to issues of depression, suicidal thoughts, and relationship problems. “Today, many people are still unaware of the causes of depression, anxiety and other serious mental health disorders. The illness is highly misunderstood and is further exacerbated by the stigma attached to it. Hence, there is a need to better understand the Filipinos who are under these circumstances. It is necessary to make them feel that they are not alone in their fight; that there are people who care and are willing to listen,” explains Secretary Francisco Duque III of the Department of Health. “By powering the hotline, Globe makes the significant contribution of turning the tide and raising awareness on mental health. This way, we are able to offer various opportunities for people to seek help and support,” adds Yoly Crisanto, SVP for Globe Corporate Communications. Reinforcing its efforts to promote education on mental health awareness, Globe in partnership with the Natasha Goulbourn Foundation, College of St. Benilde (CSB), and the National Center for Mental Health launched “Hope in 40 Seconds”, a video animation competition among students and young adults aged 16-30 years old. 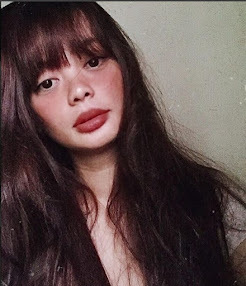 The competition aims to promote the importance of mental health among Filipinos and boost awareness for Hopeline 2919. “Hope in 40 Seconds” wishes to convey to people undergoing depression and who may be exhibiting suicidal tendencies that they are not alone, that there are others who actually care and are willing to listen. The Top 5 finalists of the “Hope in 40 Seconds” competition are “Hope in your Hands,” by Nia Colinayo and Jade Velasquez; “Light Beyond Shadows” by Rex Lynnus Sueno, “Out of Reach,” by Maria Marquiala and Ralph Reyes; “Hope^4” by Aleks Elizabeth Dolor Isla; and “Black White Red,” by Ma. Isabella Parca. An awarding ceremony is set to recognize the best three entries this April 2018 at The Globe Tower in Bonifacio Global City, Taguig.